 This feature class represents the boundaries of the City of Austin Neighborhood Planning Areas (NPA). The status of these areas, as directed by City Council, can either be plan approved, planning underway/set to begin, future planning area, or non-neighborhood planning area. Future planning area boundaries may change before they are set by the City Council to begin. See http://www.ci.austin.tx.us/planning/neighborhood/planning_basics.htm for more information.